I suspect I learned this especially from my graduate school days, in the writings of Kenneth Burke. Or maybe from my preaching days, and my intent to be true to the meaning of the Text I was preaching. And, so, one of my complaints is the way we think it is better to abbreviate, or turn into acrostics, words and phrases that we need to linger over. the personnel of a business or organization, especially when regarded as a significant asset. The company department charged with finding, screening, recruiting and training job applicants, as well as administering employee-benefit programs. After all, Human Resources should be all about resources that are human; i.e., unique to humans, and only available, only found, in real, live human beings. So, when we reduce “Human Resources” to “HR,” and we don’t say the phrase with the honor it deserves and beckons forth, one flowing from this kind of sentiment — “we cherish our human resources more, much more, than any other resources in this company” – then “HR” loses it meaning. At least, that’s my view. companies that placed a high value on human resources were almost 20 percent more likely to survive for at least five years than those that did not. Such a view, and approach, and “culture,” strikes me as a good thing in and of itself (first), and a good business strategy (second). Recently, I sat for an hour with a sales representative from Oracle. (One of those chance, accidental encounters). He knows his stuff. He knew things, many things — things that I did not know. We talked about the Cloud, and “adding value,” and the challenges brought by new, unexpected competitors… We talked about a lot. I think he appreciated insights I shared from recent books I’ve read, especially Team of Teams. But, I know I appreciated his tutorial. I learned things — things I did not know. Words and concepts that I’ve read about became understandable. He “explained” things in the course of our conversation, and I was grateful. This is not an unimportant question. Narrow expertise is indeed valuable. But, ever-increasing broader knowledge is also valuable; maybe even more valuable. In other words, what we learn may provide a slight, continual, ongoing expansion of our capabilities and knowledge (this is good), but a failure to expand our horizons; a failure to learn from some one or some ones “outside” our normal viewpoints. The library (i.e., your personal library) should contain as much of what you do not know as your financial means, mortgage rates, and the currently tight real- estate market allow you to put there. It reminds me that our knowledge is narrow, and the available information out there is so very vast. And, the more we learn — the more we read and learn from “outside” our normal interests — the better equipped we will be to make sense of this diverse, collaborating, so.many.things.meshing.together world. So… a simple suggestion. Read something, pretty regularly, from an author you normally would not read, in a field you know little about. And find more “accidental, chance encounters” with people who could teach you about something you know little about. It might be a surprisingly valuable way to spend some of your time. Being your own manager is only half the battle. In the old days, as you learned a trade (a skill), you would work under a journeyman (it was pretty much always a journeyMAN), until you became a journeyman yourself. (And then, if you made it to the pinnacle, you would become a master). Today, so much of our work is more “internal,” (i.e., “information worker” work), and more and more people, even if they work within an organization, have to be ever-more self-directed. (See Zappos’ move to Holacracy: No more managers at Zappos). …as people move in and out of roles more frequently, we’re starting to have as many jobs on our résumés as an actor might have gigs. If you want to be a rock star at what you do, here’s how to be your own manager. 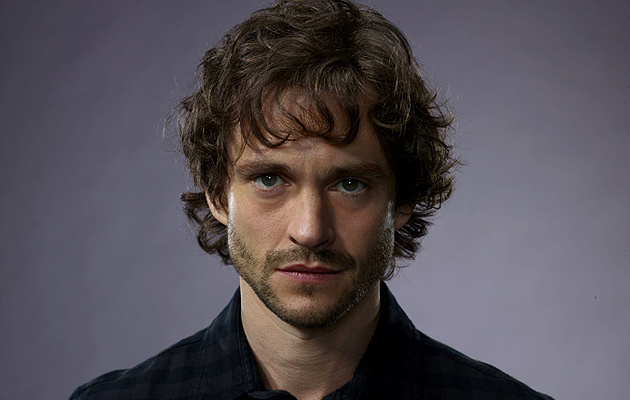 a person responsible for controlling or administering all or part of a company or similar organization. Person in the first-line management who monitors and regulates employees in their performance of assigned or delegated tasks. Maybe, consider it this way: a manager makes sure the company is going in the right direction. The supervisors are making sure that the individuals are getting the job done; the right work done, and done well. So, after you manage yourself, you then have to make sure the work is getting done—you have to supervise yourself, to get the work done. And, if you have trouble here, then you have to up the game even further, and define your role as that of being a “taskmaster” to yourself. a person who supervises rigorously the work of others. I’ve got a hunch that this task is as important, and sometimes maybe more difficult, than it seems. In other words, once the “right” work is planned out, then making sure the work is actually done is pretty much the whole ballgame. It’s a simple progression to grasp (not to implement and put into practice; but, to grasp). A person – a single person – develops skills. And then commi ts to using those skills effectively, while always adding to his/her skill set. And then, that person becomes a member of a team. Maybe he joins the team on his own; maybe she is recruited into or assigned to the team. Now, the team is made up of competent, skill-rich, always skills-enhancing individuals. But the team is greater than any one individual on the team. Our old organizational structures tend to make us create teams dictated to from above. And, we create competitive team culture – “my team is better than your team.” Thus, we finally get individuals to collaborate, but teams keep ideas and breakthroughs from each other. Collaboration stops at the single team level. This is a formula for success, for sure – in yesterday’s environment. But a formula for failure in today’s environment, and certainly in tomorrow’s environment. VUCA is not new anymore; it is simply the ever present reality. V = Volatility. The nature and dynamics of change, and the nature and speed of change forces and changes catalysts. U = Uncertainty. The lack of predictability, the prospects for surprise, and the sense of awareness and understanding of issues and events. C = Complexity. The multiplex of forces, the confounding of issues and the chaos and confusion that surround an organization. A = Ambiguity. The haziness of reality, the potential for misreads, and the mixed meanings of conditions; cause-and-effect confusion. We looked at the behaviors of our smallest units and found ways to extend them to an organization of thousands, spread across three continents. 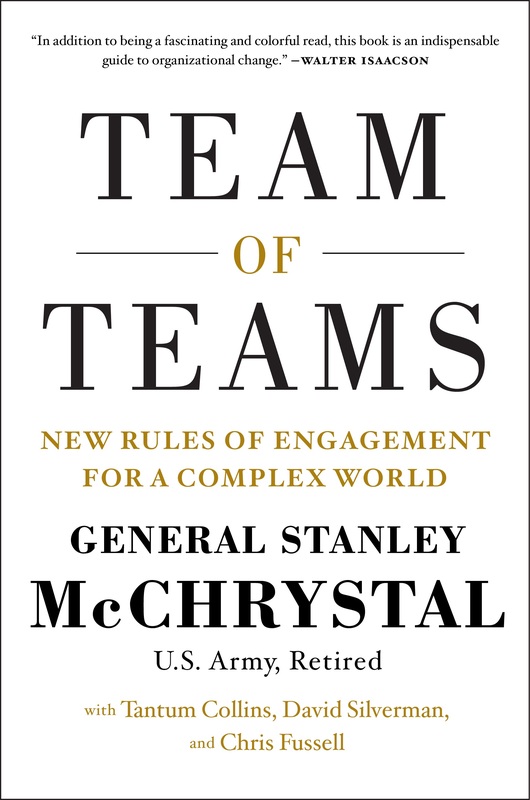 We became what we called “a team of teams”: a large command that captured at scale the traits of agility normally limited to small teams. In other words, every “small team” is part of a much larger TEAM of teams. Thus, openness, transparency, agility – and no top-down micro-controlling – is the modern organizational necessity. I am just beginning this book, and my first impression is that it makes sense. The way forward will have to be with talented individuals, working on teams with other talented individuals, with those teams teaming up with other/all other teams in the organization. Capturing customers is all about creating brand promises and keeping them. Sooner or later the customer’s actual experience will have to live up to the image. The unequaled customer service that once set you apart has now been equaled – your competitors have caught up, and your customers have noticed. Some years ago, USA Today reported that one of every four purchases ends up being a problem for the customer. I believe it. A few days ago, my wife and I ate in a new restaurant (new to us). The food was fine. The atmosphere was fine; actually, kind of nice. But the customer service? Well, let me put it this way: we both felt like we were somehow intruding upon and interrupting the lives and routines of the servers. They finally gave us what we wanted – but it was as though we were there for them; they were not there for us. (We likely will not return). So, let me remind you of Customer Service 101 – if you are in the customer service business (and, you are), you are there to actually serve the customer. That is what you are all about. That is what matters most. Oh, sure, you need a service or product that the customer will really want. But, if you do not deliver that to the customer in a good way, a timely way, an attentive way, your good product will be rejected for another “provider” down the road. Customer service begins with, you know… serving the customer. There’s always a fine line. You’ve got stubborn people, obnoxious people, and then people with genuine resolve who simply will not give up. Their actual behaviors may look about the same. But, when the motivation is not stubbornness, or plain old obnoxiousness, then true persistence and resolve can be a wonder to behold. 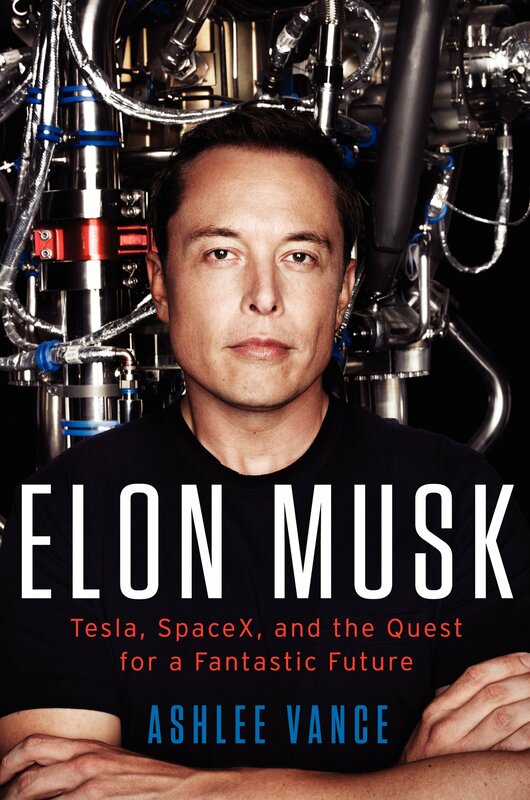 Ashlee Vance is the author of the new book Elon Musk: Tesla, SpaceX, and the Quest for a Fantastic Future. (I’m presenting my synopsis of this book at the July 10 First Friday Book Synopsis this week). Ashlee Vance, a respected journalist, decided to write a serious, thorough book about Elon Musk. In case you do not know, Elon Musk’s endeavors include PayPal, Tesla, SpaceX (SpaceX had quite a set-back last week), along with major involvement with Solar City. So, Ashlee Vance asked for time with Elon Musk himself. He was turned down. More than once. He then proceeded to work on the book anyway, and talked to everyone he could find who knew or worked with Elon Musk. Finally, Mr. Musk granted a visit, over dinner. Musk cut me off after a couple of minutes and simply said, “Okay.” One thing that Musk holds in the highest regard is resolve, and he respects people who continue on after being told no. In other words, Elon Musk recognized, respected, and honored resolve. 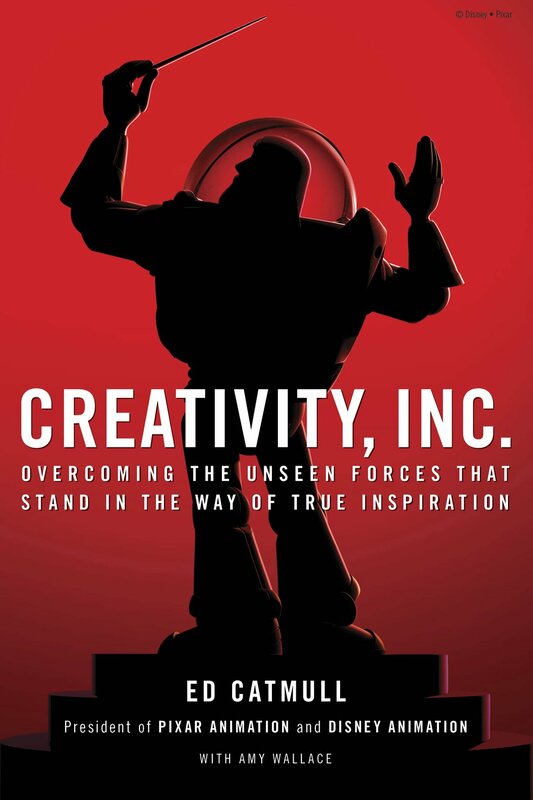 I remember similar stories about Steve Jobs from the Walter Isaacson biography, and from Ed Catmull’s book Creativity, Inc. They both commented that people who worked with Steve Jobs had to learn when his “no” was something to ignore and work around. In other words, Steve Jobs also respected genuine resolve. For Elon Musk, and Steve Jobs, resolve, the ability to “ignore the no,” signaled genuine inner character and resolve. So, do you have such resolve, such persistence? Or do you take “no” for an answer too quickly, too easily? Are You Caught in an Ego Trap? Such articles have usually referred to Steve Jobs, and these days Elon Musk is creeping into the conversation. And both of these leaders had/have pretty high JQs (Jerk Quotients). But, I think it is a pretty big mistake to even have this conversation. It is certainly a dumb idea to say “since Steve Jobs was something of a jerk, then I will be more of a jerk, and thus, maybe more successful.” In my opinion, it doesn’t quite work that way. I think Steve Jobs, and maybe Elon Musk, were just superior leaders, who also happened to have high JQs. In other words, maybe being a jerk, or not being a jerk, has little to do with actual success. Yes…, not being a jerk has plenty to do with building a workplace that people want to be a part of. Although, truth be told, the people who “survived” Steve Jobs, and the people who “survive” Elon Musk, seem to be pretty loyal. They generally believe that they got more accomplished than they could have/would have, because of the unswerving focus of these leaders. I think that leaders who succeed have qualities unrelated to the JQ spectrum. Mainly, they have an uncanny ability to sense what people really want/need, and then they have the equally uncanny ability to marshal teams and resources to turn that into reality. Let’s put it this way: there are some jerks who are great leaders, and plenty of jerks who are not at all much of a leader. And, there are some really “nice” (i.e., high EQ) people who do not lead very well, and a few who do. In other words, great leaders are rare, regardless of their EQ and JQ. But, let’s pretend that you would like to be successful, while lowering your JQ. In other words, let’s imagine that you want to be a good leader, a successful leader, and not much of a jerk. (A worthy goal, in my opinion). Here’s a little help from the book Ego vs. EQ: How Top Leaders Beat 8 Ego Traps with Emotional Intelligence by Jen Shirkani. It’s easy to end up at the top of your organization with certain blind spots that fewer and fewer people are willing to call to your attention…. Maybe people have tried to give you feedback, only to see you ultimately ignore it. So they stop. (emphasis added). you are unwilling to let anyone call you on them. In other words, you are not just blind regarding your own blind spots, you are also deaf when it comes to listening to correctives. In other words, you are something of a jerk, and you don’t own up to it; you don’t even listen to anyone willing to tell you about your problem. Thus, guaranteeing a lower EQ, and a higher JQ. So… whatever else your job is, the closer you get to the top of any hierarchy, the more important it is to put someone (maybe more than one such someone) into your inner circle to tell you the truth. And then, you have to listen to their warnings and correctives, and do something with what they have the courage to tell you. Otherwise, your JQ goes up while your EQ goes down. Maybe I am defensive. My formal education is in the “Humanities.” The Humanities is in the mode of “we better defend our existence” these days. At times, I envy those STEM folks. They learn tangible lessons; how to use math, how to code. I didn’t learn such tangible lessons. In fact, I never liked the classes I had to take in my graduate work in “statistics.” I should have – but I didn’t. Anyway, I wonder if our modern educational path is leaving such behind, and that it might be hurting us in some way. Is it time for American actors to take a hard look in the mirror? Earlier this year Michael Douglas mused darkly to a magazine interviewer, “I think we have a little crisis going on amongst our young actors at this point,” and Spike Lee, commenting on the “invasion” of black British actors, had some pithy observations on the subject, too: “You want talented people,” he said, and British actors’ “training is very proper, whereas some of these other brothers and sisters, you know, they come in here, and they don’t got that training.” Douglas and Lee, just like the rest of us who go to the movies, are a tad puzzled about why so many good American roles have been going to English, Irish, Welsh, Scottish, Australian, and Canadian actors. The phenomenon may have reached its unignorable peak in last year’s docudrama Selma: the parts of Dr. Martin Luther King Jr., Coretta Scott King, Governor George Wallace, and President Lyndon B. Johnson were all played by Brits. Read the full article. He basically makes the case that the modern young American actors (primarily the men) are skipping the needed steps (years of these steps) in training. I thought of key business books I have read. 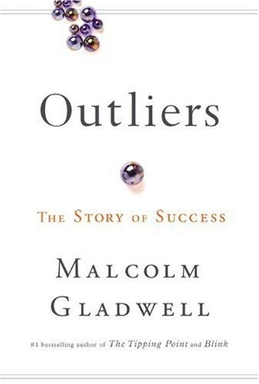 Outliers by Malcolm Gladwell, and his popularization of the 10,000 hour rule. And then, the needed “next read” to Outliers, Talent is Overrated by Geoff Colvin. Mr. Colvin demonstrates that just any old 10,000 hours isn’t enough. It requires 10,000 hours of disciplined, deliberate practice – working on something for the purpose of getting better at it. (A careful reading of Gladwell would show that he fully agrees with this. In other words, 10,000 hours does not make you the best. But the right 10,000 hours gives you a decent shot at being really, really good!). I think of one of my professional pursuits. I present synopses of business books. I guess in order to save folks time – so they can “learn quickly.” So, I feel a little guilty about this. I wish that we could just sit in silence, for quite a few hours, read the books, then talk about the key stories, the key lessons, and takeaways. “Learn fast” seems to be today’s mantra. Learning takes time. There is no “pop in the oven for an hour and get all that you need” shortcut. Learning takes work, serious thinking, and lots of time devoted to the process. I do realize that many jobs allow little such time for such learning work. But, I think that may be hurting us in ways that we can’t and don’t quite yet understand. Let’s do a little cross-discipline thinking. One of the hot business topics, for quite some time, is this: how do we got more-engaged employees? and 26% of workers are actively disengaged. (These will really do you in!). And, by all indications, these numbers are not budging much. They are not increasing. And that’s not good, because the higher the level of engagement, the happier, more diligent, more productive the workers. 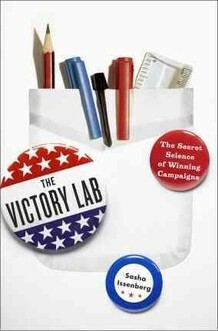 Here’s one of my takeaways from the book The Victory Lab: The Secret Science of Winning Campaigns by Sasha Issenberg (New York: Crown Publishing. 2012). It’s about winning elections. avoid doing what their peers would look down on. In other words, engaged voters vote. And you don’t get voters to vote for your candidate by converting the other candidate’s voters, nor by convincing the undecided. No, you get your voters by finding your voters, and reminding them to put their intentions into practice. So… what if employee engagement is similar? What if it is not about converting the not-engaged, but instead, identifying the potential employees who are likely to be engaged from day one, and hiring those people, and only those people? I think that may be a (the!) great, big, important key. Oh sure, the company can do things to increase and enhance employee engagement – for those so inclined to be fully engaged to begin with. But for those who show up at work to collect a check and then get out of there as quickly as possible, maybe doing the least amount of work possible, then the cause may be close to hopeless to begin with. Oh, there may be a few stories of success – “this person was not engaged at all, and now look at how engaged he/she is” — but , for the most part… not so much. So, maybe employee engagement starts with, and really depends on, hiring the most-likely-to be-engaged workers to begin with. team of communications professionals, doesn’t come across the way he intends to—what hope do I have of ever getting my boss to see my potential, or my colleague to see how hard I work? I think Why No One Understands You is one of the more important books I have presented lately. Because, everyone – everyone I know, in every arena, including… me – has trouble communicating their thoughts and intentions clearly, and has equal trouble understanding communications from others. And, this difficulty leads to far more than hurt feelings (although, it does lead to that) – it leads to lost business, lost productivity, lost opportunity. You really are hard to understand. The Transparency Illusion – we assume we made our intentions clear when we spoke. We did not. Your actions are a matter of interpretation. People do not give enough attention to the task of understanding the other person. Confirmation Bias — when other people look at you, they see what they expect to see. Psychologists call this confirmation bias (for more on this topic, read this 16% post from April—Ditching the Dissonance). The Primacy Effect — our early impressions of a person can hold far too much weight and can lead us astray when they paint an inaccurate picture. Psychologists refer to this as the primacy effect; a perceiver’s first impression of you is likely to be a lasting impression and to influence how he or she interprets everything else about you. Stereotypes — At its most basic, stereotyping is a form of categorization—something human brains have evolved to do swiftly and automatically. The Halo Effect — The tendency to assume that someone possesses other positive qualities from the presence of a single, powerful positive quality is called the halo effect. The False-Consensus Effect — Other people think and feel what I think and feel. …It takes a lot of work to get it right. But a lot of work is the last thing the cognitive miser wants to do. We are all “Cognitive Misers” — spending as little of our mental energy as we have to in order to get the job done. And, she recommends how to “undo” a “bad” first impression – over-perform in the unexpected way! #2 — You will not understand other people. Accept this – and work at understanding other people much more accurately and effectively. #3 — Every interaction carries baggage, requires understanding of context, and understanding of intent and purpose. #4 — We really are perpetually comparing ourselves to others – accept this. #6 — Learn to apologize well. (You will make mistakes – even big ones). #7 — Show some modesty (avoid arrogance; aim for humility, yet with appropriate self-confidence). #8 — And, don’t forget/neglect the challenge of self-discovery and arriving at genuine (relatively accurate) self-knowledge. If you interact with others, at home, at work, or anywhere else (and, obviously, you do), then this is the book you probably need at the top of your reading stack!